Please note currency conversion is approximate. Rates displayed are calculated using Yahoo Currency Converter, but do fluctuate. All charges are made in CAD dollars at time of booking and exact conversion will depend on rates and fees determined by your bank/credit card. 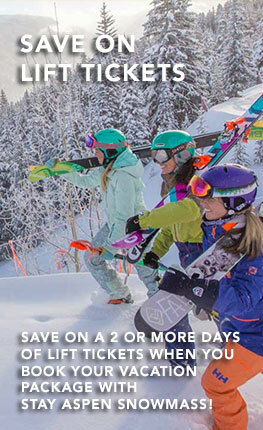 Stay Aspen Snowmass is the official central reservations for Aspen and Snowmass Village. SAS offers one-stop shopping for year round discounted air-inclusive vacation packages. We represent a vast majority of the Aspen Snowmass rental lodging, hotels, condominiums, and homes. From the budget-minded to luxurious all-inclusive experiences, SAS can find the perfect match and customize your next trip to the heart of the beautiful Rocky Mountains of Colorado. Our local vacation experts live, work, and play here.